Natural medicine, in particular naturopathic medicine, has safe and effective options for children of different ages. Starting from birth to adolescence. For the most part, each age has more or less predictable health concerns (with some exceptions). For example, children starting at age 6 months or earlier are at risk of frequent upper respiratory infections due to exposure to new unfamiliar viruses and bacteria while building their immune system. This risk peaks for children ages 2-4 years. Other conditions include: digestive discomfort, skin conditions, growth pains, and many others. Natural medicine can deliver immediate results in some cases with little to no side effects. As a naturopathic doctor, I encourage patients to add naturopathic medicine to child’s health care. Having naturopathic medicine as part of children’s well-being could reduce the use of potent pharmaceuticals, unnecessary hospitalizations, complications of common childhood infections, and many waking nights with a sick child. In my practice, I offer families, Healthy Family Saturdays, where a whole family can come for one-hour visits. Families of different sizes and composition (LGBTQ community, single parents, grandparents with grandchildren or families without children) are welcome. During those visits, we discuss the diet of the whole family, sleep, family time together as well as natural remedies for acute health conditions and the best supplements to use for children of different ages. Nutrition plays an important role in the health of the whole family. For example, consuming sugary processed snacks instead of fresh vegetables and fruit can lead to higher infection rates and prolonged infection time. Bacteria and viruses that cause infections feed on sugar and, thus, increase in numbers. Sugars also diminish the quality of immune cells slowing down the recovery from an infection. Another concern is common food allergens which have detrimental effects on the skin. Skin eczemas require thorough investigation into the diet of the child and the whole family. I also encourage families to have a well organized natural medicinary right in their homes with commonly used homeopathic remedies, safe for children essential oils, specific herbal combinations for children (herbal cough and digestive syrups, ear drops), a few vitamin and minerals complexes, and high-quality probiotics. When a child gets sick, parents will be ready to help her/him recover from the illness faster and more effectively without any potential side effects. 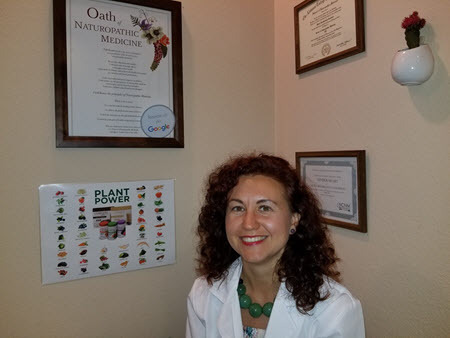 If you have questions about how naturopathic medicine can help your child, you are always welcome to contact me at drmashand@gmail.com and I will be glad to answer your concerns. As parents, we strive to make sure our children have safe effective options when they are not feeling well.